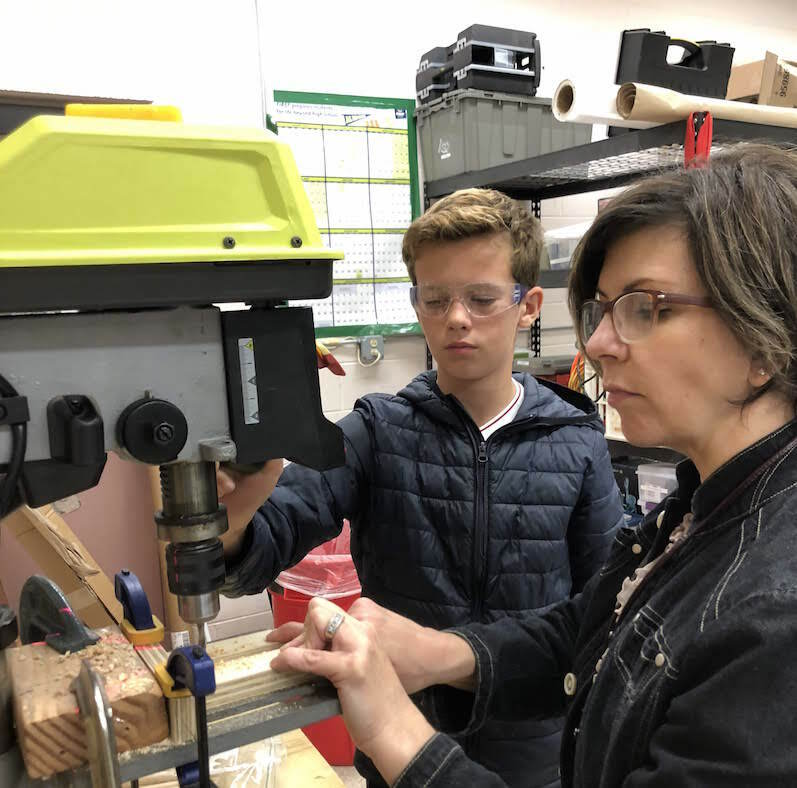 Middle School science teacher and seventh grade dean Roseanne Liberti wanted to come up with an original service project for the class of 2024 and she landed on some wonderful options. 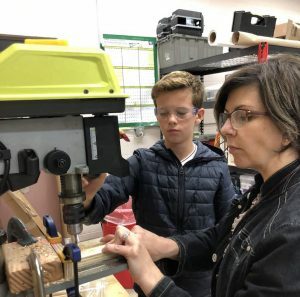 A group of students has started on a long-term project to produce mats for those affected by homelessness using plastic bags donated by the AFS community. 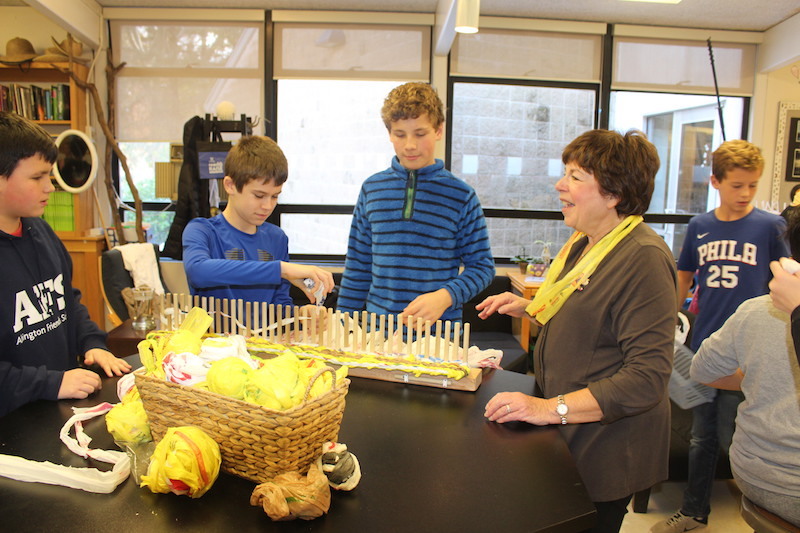 Roseanne loved this idea, because it allows the students not only to do meaningful work for those in need and aligns with this year’s Quaker theme of “witness,” but also helps to keep plastic bags out of oceans and landfills. Each lightweight, waterproof mat is 6 feet long and made from 800 recycled plastic grocery bags. 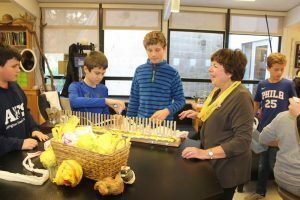 Eileen Kupersmith has become an expert on weaving the plastic bag mats and was on-hand to help Roseanne train seventh grade students to weave the mats. Eileen spoke to This Week and said, “I got involved with the plastic bag project because someone I know started an organization called Integrate for Good and her goal is to work with adults with special needs and have them see themselves as givers of services, not just receivers of service. One of the projects she works with them on is the plastic bag mats. I teach Sunday school at Or Hadash-A in Fort Washington and I was inspired to get my five and six year old students doing this, which got people excited and eventually the whole school and community became involved with making mats.” Through synagogue connections, Stefanie Loev, a seventh grade Home & School clerk, came to Eileen and asked if she would do this at AFS and she was happy to help. The completed sleeping mats will go to an organization called Angels in Motion to distribute the mats to those affected by homelessness.